Our group of beauty killers show how the old rules of high fashion are changing, nowhere more quickly than in shopping-mad Southeast Asia. It was inevitable: Disruption has hit the glamorous world of high-end fashion and thrown the old business model of Southeast Asia’s high street, like Orchard Road in Singapore, into turmoil. Inevitable because e-commerce sites such as Zalora or Lazada have made shopping for lipstick, high heels and evening gowns in Southeast Asia as easy as it is in Europe online or America. With wired broadband penetration at 97.8% in a country like Singapore, and ever increasing consumer comfort levels with online payment systems and credit cards, this was, one might say, only a matter of time. Cue the region’s burgeoning “Beauty Killers.” We’ve thus christened this issue’s group of fashion start-ups, who range from perfumers to cobblers to watchmakers to the e-commerce sites that enable them to reach consumers, because they are each breaking the cardinal rule of high-end fashion: Lesser, newer brands simply cannot compete with bigger, older ones because they lack the craftsmanship, cachet or marketing magic to do so. That assumption is under siege as start-ups use new marketing techniques, product customization and price – without sacrificing quality – to cross the increasingly shallow moats of luxury brands. While not offering a strictly bespoke product, these start-ups are taking advantage of advances in manufacturing technologies that allow them to offer customers a much greater level of customization at more affordable prices. “The next luxury, I believe, is personalization,” says Valerie Boffy, CEO of Waft, a Singapore-based online only perfume retailer. “Mass customization has been touted as the next big thing for the last 30 years, but it is only in the last two to three years that the trend has finally accelerated, thanks to the coming down in price of new technologies, such as 3D printing and 3D scanning, that are finally making it cost-effective for businesses to use,” says Eugene Ho, who leads the Consumer & Industrial Products industry for Deloitte in Southeast Asia. The latest start-ups, in short, are meeting demand from millennial consumers who are accustomed to getting what they want, when they want and how they want it, from their music playlist on Spotify to their favorite TV shows on Netflix. A 2013 Bain survey of more than 1,000 online shoppers found that while fewer than 10% had tried customization options, 25-30% were interested in doing so. The survey also showed that those customers who had customized a product online engaged more with the company, visiting its website more frequently, staying on its pages longer, and were also more loyal to the brand. To be sure, the old Hermés Birkin bag or Chanel No. 5 perfume are standard bearers that aren’t exactly going away. There will be always be consumers who rightly believe in the quality offered by such brands and are willing to pay extra for them. But the age of complacency is over. Our beauty killers show how the old rules of high fashion are changing, nowhere more quickly than in shopping-mad Southeast Asia. 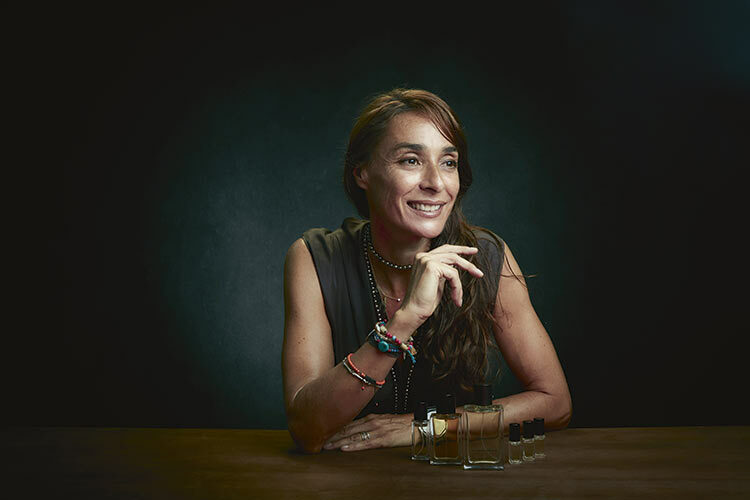 Like many young French girls, Valerie Boffy’s mother told her a woman should find a signature scent and stick to it: A scent should be seen as part of your DNA and the trail left behind should identify you. Times change. Today 47-year-old Boffy uses a different scent every day. “We’re all multi-faceted personalities,” she says. “So why shouldn’t fragrance be the same way?” The morning of our interview she had combined two, a blend of sweet raspberry, patchouli, praline and musk, which she had layered with a scent that offers woods and spices, “for a touch of masculinity.” She had selected them from the 70 small sample bottles standing on the grand piano in her Singapore living room. Each simply sports a number at this stage, but as CEO of Waft, Boffy knows them all well. Established in 2016, Waft.com is entering a growing online market selling customized scents with competitors that include U.S.-based Hawthorne for Men and Phlur. While the former is targeting the men’s cologne market and relies on data provided through an online survey that includes unusual questions about lifestyle (red meat or veggies; cocktail or beer; hipster or preppy), the latter unisex scent maker lets customers choose their fragrance based on visual and musical mood boards. Phlur’s Greylocke perfume, for instance, uses stylish images of the English countryside and suggests a Spotify playlist including songs by Jimi Hendrix, Led Zeppelin and the Rolling Stones. By cutting many of the costs associated with bricks-and-mortar retailing, Waft aims to offer customized products at lower prices without compromising quality. “As a pure online play, we’re able to allocate a good chunk of our budget on the ingredients, instead of the marketing,” Boffy says. With an expanded budget, IFF perfumers were able to create a large collection of different scents for Boffy with strong, unique personalities, while still respecting the main olfactory notes, like floral, woody and spicy. Waft is doing considerably better. “So far we’ve had less than 1% returns,” Boffy says. The sixth Frenchwoman to reach the summit of Mt. Everest, Boffy has never been afraid of a challenge. She came to Asia in 1991, at the age of 21, and quickly got a job as an Area Sales Manager for Estee Lauder based in Hong Kong. She stayed with the beauty giant for eight years, moved to New York, then got headhunted by Bally to spearhead the Swiss shoe brand’s newly set up Asia-Pacific travel retail team back out of Hong Kong. IN THE LAB, Compounding a perfume by adding different raw materials following the recipe created by the perfumer. “None of the big brands were in airports,” Boffy says, recalling an early challenge. “The mentality was you buy in an airport because it’s cheaper, but that’s it.” Yet she believed that with such an affluent captive audience, it was mainly an issue of communication and offering customers the ability to easily exchange their purchases anywhere around the world. Bally now has more than 100 airport stores. While it’s been a steep learning curve for Boffy at Waft, requiring her at one stage to rethink the distribution model due to high shipping costs, the online model is offering an unexpected silver lining: over 50% of buyers are men, a surprisingly high number for the perfume industry, where men generally represent only 25-30% of sales. Boffy is hoping to reach 1,000 orders per day within the coming 12 months. “We have already sold in 29 countries and are putting distribution in place to ensure rapid shipping in all major markets,” she says. Disruption may be her signature scent. Tan founded Skin Inc in 2008 by replacing the one-skin-fits-all model always seen in the beauty industry with a personalized solution. At the same time, she simplified women’s skin care routines by combining different targeted products in one bottle. Here’s how it works. After filling out a detailed skin identity questionnaire online or on a tablet provided in a store, customers will be provided with three serums that fit their need based on lifestyle, environment and genetics, and these are then mixed together in one bottle for ease of use. Instead of using separate clarifying lotions, antioxidants, and anti-ageing products, customers now have those all in one, saving time and money (a Skin Inc’ “My Daily Dose” retails for S$169 or US$125). Tan, who was born in Singapore, worked for over 10 years in the technology industry, marketing computers for IBM and Hewlett-Packard, and then software at Symantec and data storage at EMC Corp. But she decided to give up her secure six-figure annual salary and use her personal savings, and those of her husband, at the time the Asia Pacific sales vice-president at database giant Oracle, to pursue her dream. Today, Skin Inc has more than 80 employees, over 350 distribution outlets, including Sephora. (Tan would not disclose sales revenues). The company now faces competition from other tailor-made skincare products, including some made by Spain’s Sepai (launched in 2008) and France’s Ioma (launched in 2010). Skin Inc is planning to take advantage of digital technology further, using facial imaging based on phone selfies, for example, to help establish the skin care needs of its customers. It’s not the only one to do so. Earlier this year, Japanese cosmetics giant Shiseido announced the acquisition of MatchCo, a California-based start-up that has developed a cellphone-based camera app to help create individualized shades of foundation. In the digital age, it seems beauty is truly in the eye of the beholder. 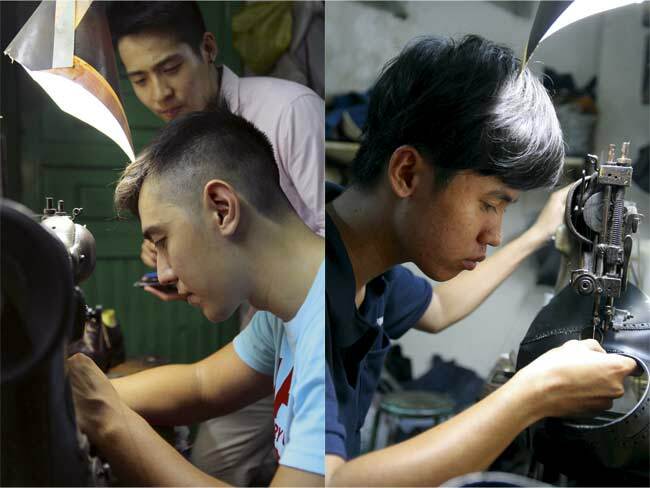 Two years ago, when Singaporean business school student Nicholas Han was brainstorming ideas for a possible start-up, his younger brother Jonathan happened to be assembling a watch with parts bought from different online suppliers. Jonathan, a medical school student at the time, suggested launching a business that would allow customers to get a customized watch at a reasonable cost. A research trip to the annual Watch Trade Fair in 2015 in Hong Kong helped the Han brothers better understand the supply chain they would need. They found costs were not as high as expected for the components, even Swiss ones, but minimum orders of at least 500 pieces had to be placed. That seemed a big commitment for a start-up. The brothers did just that, by raising $88,000 from pre-seed investors. Since Schaffen’s website was officially launched in October 2016, the company has sold about 300 customized timepieces, and the brothers are now planning a round of crowdfunding to launch their first mechanical offering, which they plan to price at $500-650 for early backers. 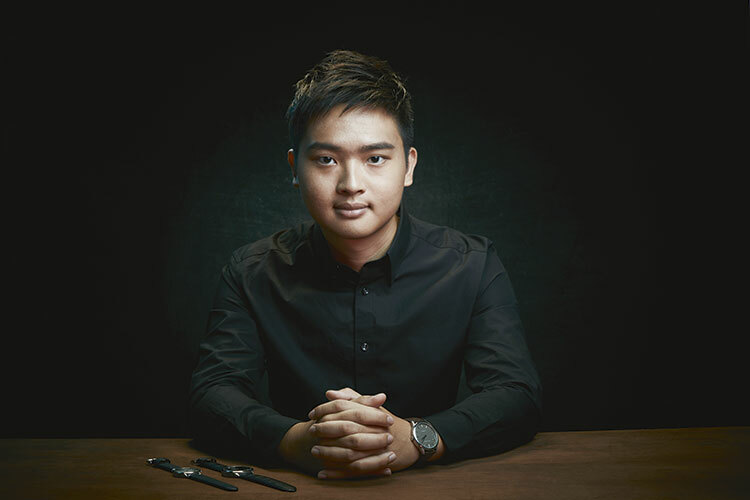 The deep desire for personalization among his generation (which extends to the quirky decorated cards Han props up in front of him in classrooms, to distinguish him from the other students) is at the heart of Schaffen, the one-year-old online watch micro-brand the 25-year-old Han is now leading as CEO. The company gives customers options to design their watch: from a variety of colored dials, time markers, hands and straps. All in all, there are 1,680 possible permutations, though what will make the watch truly unique is the engraved inscription or drawing the brand can add to the dial or case. All this for $229. The launch of micro-brands is a fairly recent trend in the watchmaking industry. It started around 2014, primarily in the U.S., and has been made possible by easier access to capital through online crowdfunding. Nick Warner, who runs the Microbrand Watch World blog that promotes micro watch brands, estimates there were about 280 projects launched on the Kickstarter platform alone between 2011 and 2015, raising a total of around $12 million. About 60% of these projects were launched in 2015, pointing to an increasingly crowded market. Even so, the Han brothers are confident their investment in the technology that enables engraving and printing on stainless steel can give them an edge as it increases the personalization level of their timepieces. While micro-brands selling watches at Schaffen’s price point often use cheaper Japanese automatic movements, Schaffen is opting for a movement made in Switzerland, which the Han brothers hope will help build their reputation for quality. “At the end of the day, ‘Swiss made’ still carries a lot of cachet with customers and that’s very important when they are buying online,” Han says. 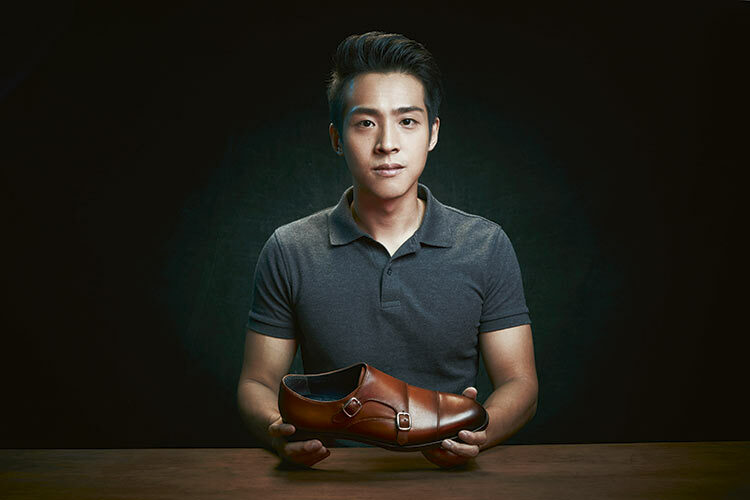 When he first launched his bespoke shoe brand in 2015, 27-year-old Donovan Leow had a clear concept: beautiful, customizable, handmade leather shoes at an affordable price. His customer base would be men willing to spend an extra 10-20% more what they might pay for ready-to-wear shoes and the key to financial success would be to bypass the traditional “middlemen” and eliminate brick-and-mortar costs, by using 3D modelling technology and retailing online. Sportswear shoe brands like Nike or Reebok were already offering clients online customization, and Leow felt the model could be expanded to handmade leather shoes. Fast forward two years and Leow has found that while e-commerce offers start-up ventures many solutions, it is also paved with a few pitfalls. He quickly found relying on customers to get their measurements right had limits and offering lots of options was not always best. “Most guys get confused by the amount of choice. They just don’t care that much about some of the details. What’s more important is the right fit and the colors,” he says. The easiest mistake customizers make is overwhelming their customers with too much choice, but fundamentally customers don’t want choice; they just want exactly what they want, argues business strategist Joseph Pine, adding mass customizers must create “some sort of design tool” which combines all the detailed configurations necessary to get the perfect order with a visual (or virtual) representation of the offering that draws out of customers what they want and need, and then gets that information back into operations to do something different for this individual customer. Today, CustomMade is a hybrid model that offers clients the opportunity to customize their shoes online, but still requires them to come to a showroom once so someone who has been trained can take their measurements. Leow has also cut down on some of his more ambitious customization options and expanded his choice of colors. In two years, the start-up’s production has grown from 25 to 80 pairs a month, with repeat customers already averaging 20-30% of his total customer base. This year, Leow is confidently projecting doubling his current $150,000 annual revenue, in part by diversifying his product mix to loafers. “We have the capacity to go to 400-500 pairs a month, and that’s what I’m targeting,” he says. Leow, who started out in his bedroom with just $2600 in capital, is rapidly finding his feet. What Do Southeast Asian Entrepreneurs Need to Avoid During Presentations?